Dr. Monsivais has been practicing in El Paso since 1983. 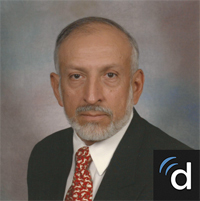 He completed a fellowship in Hand/Reconstructive Microsurgery from Duke University Medical Center in Durham, North Carolina and Hand Surgery from Walter Reed Army Medical Center in Washington, D.C. Dr. Monsivais served on active duty in the US Army Medical Corps, and was formerly affiliated with the Plastic Surgery program at William Beaumont Army Medical Center. Currently, he holds a Clinical Professor position with Texas Tech University School of Medicine in the Department of Orthopedic Surgery and Rehabilitation.